Officially the Republic of Colombia, is a unitary constitutional republic comprising thirty-two departments. 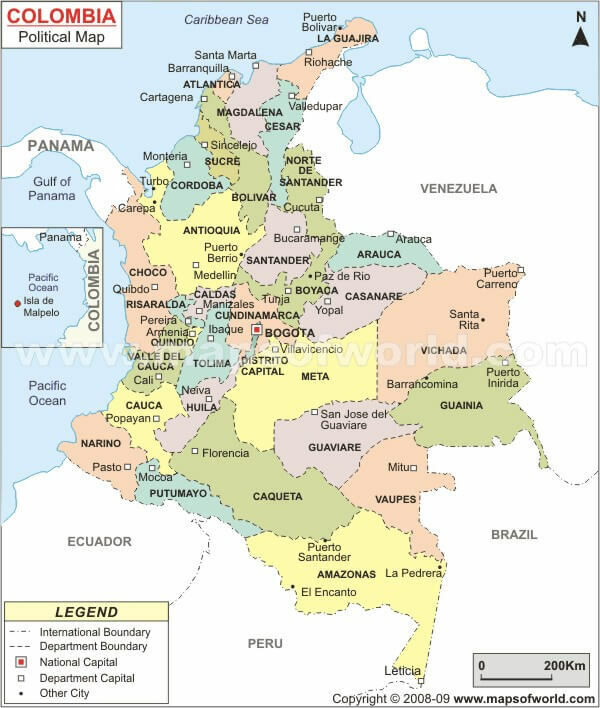 Colombia is located in northwestern South America, bordered to the northwest by Panama, to the north by the Caribbean Sea, to the east by Venezuela and Brazil, to the south by Ecuador and Peru, and to the west by the Pacific Ocean. Colombia is the 27th largest country in the World and the fourth largest country by population in South America after Brazil, Argentina and Peru. Colombia has population of 46 million people, and has the second largest population of any Spanish-speaking country, after Mexico.